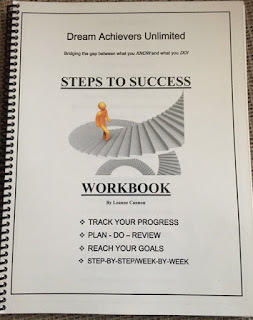 GRAB YOUR WORKBOOK AND TRACK YOUR PROGRESS! YOUR 2019 WORKBOOK IS READY! Get it for LESS right here! Here's what it look like inside! - Quick Video 1.24 min. We are about to embark on a BRAND NEW YEAR! How will you track your progress? WHERE will you map out your strategy and follow your benchmark goals? I have developed a tool to help you do exactly that! 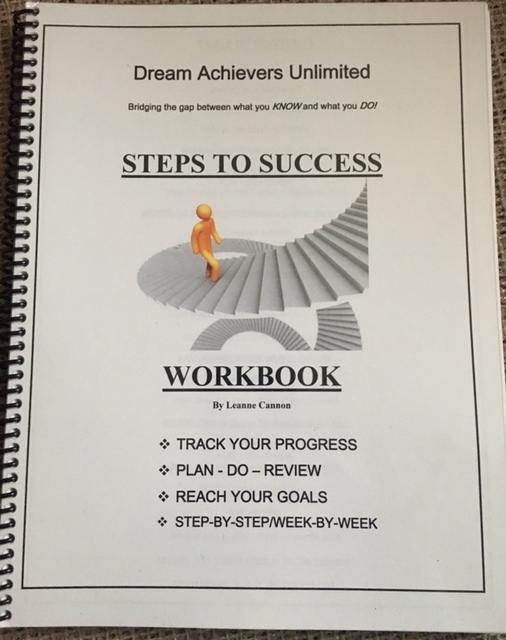 It's the STEPS TO SUCCESS WORKBOOK, and inside you will find a place to "PLAN - DO & REVIEW a strategy that will help you move forward with momentum ... and not just in your business, but in every area of life! There is a motivational quote on every page to keep you inspired and encouraged. Also a Wheel of Life shows up throughout the year to help you work on creating more balance in your life. After each month you will find an article designed to help you in your business; whether it's valuable networking tips, overcoming the fear of follow up, how to draw clients to you rather than chase after them and many more. Twelve articles altogether. MAKES A GREAT GIFT! It's also a valuable TEAM TOOL! If you are working on a project together or going after the same goal, everyone can be on the same page ... literally! You can find this on my website for $35 plus shipping. But if you order it right here, you can have it for just $20 plus shipping! Click below and grab your copy now! Be ready when January gets here and hit the ground RUNNING!